Now that 30 states have legalized some form of marijuana, plus Washington D.C., we can start to make some quality and price comparisons. Let’s start by doing a comparison between Nevada and California. Both states now have legal recreational marijuana available to the public. Nevada recreational marijuana sales began on July 1st of 2017 and California began sales on January 1st of 2018. Obviously, both quality and price will change overtime and we will try and stay up-to-date. We will begin by looking at price differences in cannabis and cannabis by-products in Nevada and California. These differences are of particular note because the two states are neighbors and the Nevada recreational marijuana market was receiving quite a bit of cannabis businesses from California before January 1st, 2018. Over 11.5 million of the 42.9 million tourists Las Vegas sees each year come from southern California. California’s marijuana industry is expected to be far larger than Nevada’s. Estimates from the University of California, Davis, suggest that by 2020 California’s marijuana industry will be worth $5 billion annually. At Nevada’s current pace, according to the Nevada Dispensary Organization, it will generate $508 million in marijuana sales in the first year starting on July 1st. If you are thinking about visiting either state and you are wondering; how can a tourist get weed in California or Nevada? It will not be hard to find it, the real question is how much will you have to pay for it. Check out some of the price differences between some of the top cannabis dispensaries in each state. Almost 100 dispensaries across San Diego, San Jose, Oakland and Berkeley are among California stores licensed to sell recreational marijuana. The biggest differences in marijuana prices are going to come in the form of taxes. California has already been highly criticized for its high state, sales and city sales taxes on cannabis. You can see the differences in cannabis tax rates between each state in the table below. But higher total cannabis taxes, lesser legal availability per capita and lower testing standards could keep the black market healthy and prevent California’s industry from expanding, according to a Berkeley-based pot expert. That’s a contrast to Nevada, where pot taxes reach up to 38 percent in the most heavily taxed municipalities, like Henderson and Las Vegas. 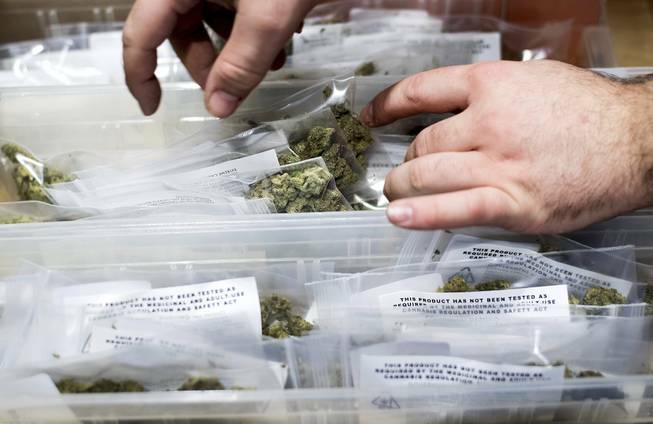 Through four months of legal sales from July through October, the industry earned almost $127 million in sales and $19 million in tax revenue, according to data from the Nevada Dispensary Association. As of right now, Nevada recreational marijuana is much more affordable than California cannabis. Prices for cannabis products are likely to fluctuate considerably once industries stabilize and more competition come from within states and from other states.